Of the 10 largest newspaper owners in the country, six are now investment firms. 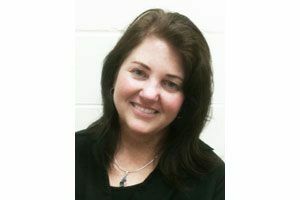 Julie Reynolds is an investigative journalist and the author of “Blood in the Fields.” She has written for NPR and PBS. A longer version of this Op-Ed was first published in The Nation. “Distress” is an apt word for the current state of America’s newspapers, and Smith isn’t the only financial mogul gobbling them up. On Sept. 4, the New York Daily News was purchased by Tronc, the media conglomerate whose majority shareholder is Michael W. Ferro, the business magnate who founded the investment firm Merrick Ventures. The shrinking and disappearing of hometown papers has done incalculable damage to Americans’ knowledge of the world around them. Democratic self-governance presumes an informed public, but the hollowing-out of America’s newspapers, in both their online and print versions, leaves citizens increasingly ignorant of vital public matters. The most commonly cited culprit for the decline of newspapers is the internet and the assumption that no one needs to pay for news anymore. But simple capitalist greed is also to blame. Since 2004, speculators like Smith and Ferro have bought and sucked dry an estimated 679 hometown papers that reached a combined audience of 12.8 million people. In less than a decade, newspaper ownership in the United States has changed at a dizzying pace; these days, it rests increasingly in the hands of a few largely anonymous investment funds. Unlike large corporate owners in the past, the stated goal of the investment firms is not to keep struggling newspapers alive; it is to siphon off the assets and profits, then dispose of what little remains. Under this strategy, America’s newsrooms shriveled from 46,700 full-time journalists in 2009 to 32,900 in 2015 — a loss of roughly one journalist out of every three. While some may shrug off this development as irrelevant in the era of Facebook news, a December 2016 Nielsen Scarborough study found that newspapers and their websites still reach 69 percent of the U.S. population every month. “Younger readers now account for a greater percentage of newspaper readers,” the ratings agency reported. “Notably, Millennials 21-34 make up 25 percent of the U.S. population and now represent 24 percent of the total monthly newspaper readership” (a total that includes online readers). News-industry analyst Ken Doctor is making the case for reinvestment in newspapers — facing head-on the disruption that new technology brings while exploring ways to innovate and survive. One encouraging example is blossoming in Doctor’s home state of Minnesota. In 2014, Glen Taylor, the owner of the Minnesota Timberwolves, purchased the Minneapolis Star-Tribune from the investment firm Avista Capital Partners. Taylor charted a long-term course for the paper that didn’t require it to reach large profit margins every year to be sustainable. Another success story is The Pilot in Southern Pines, North Carolina, whose circulation of 14,000 is roughly equal to the town’s entire population. The Pilot provides the staples of local news — high-school sports scores, town-council election results — but it also publishes five arts-and-culture magazines, a statewide business journal, plus a few telephone directories. And it operates a cozy storefront called the Country Bookshop. “We felt this community would be less without a local bookstore,” says Pilot editor John Nagy. “So we went out and bought it. And it’s finally making a profit. “What all that’s done is diversify our revenues, diversify our outlook, and diversify our business skills,” Nagy adds. 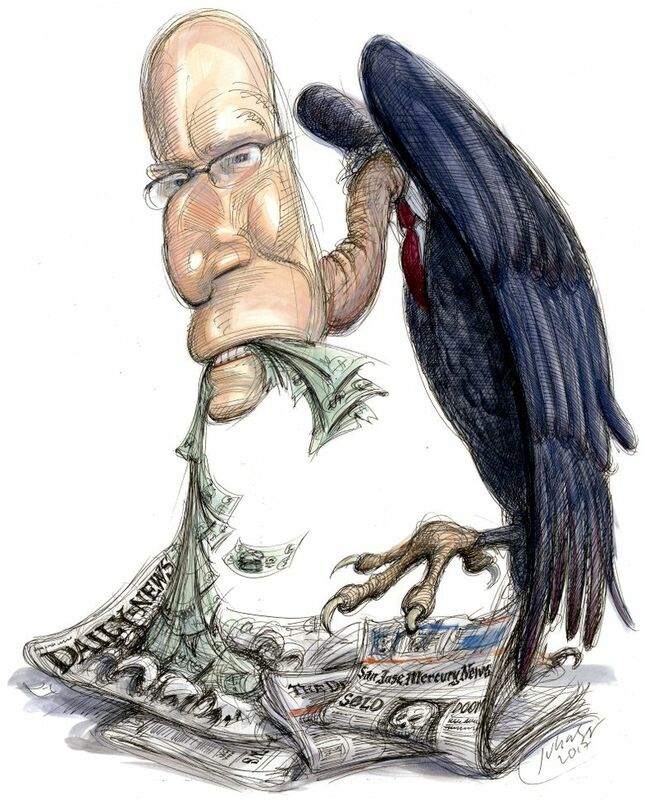 Some will argue that only a nonprofit model can keep local news safe from the clutches of the vultures. It’s an experiment being played out in Philadelphia, where, in January 2016, philanthropist H.F. Lenfest donated the Inquirer, Daily News and Philly.com to the Philadelphia Foundation. Ultimately, it may be a mix of altruistic investors, nonprofits, involved local owners and citizen demand that keeps local news alive. Whether that news is printed on paper or pushed to a smartphone isn’t nearly as important as society’s willingness to invest in the act of reporting itself — an act central to our founders’ vision of democracy.